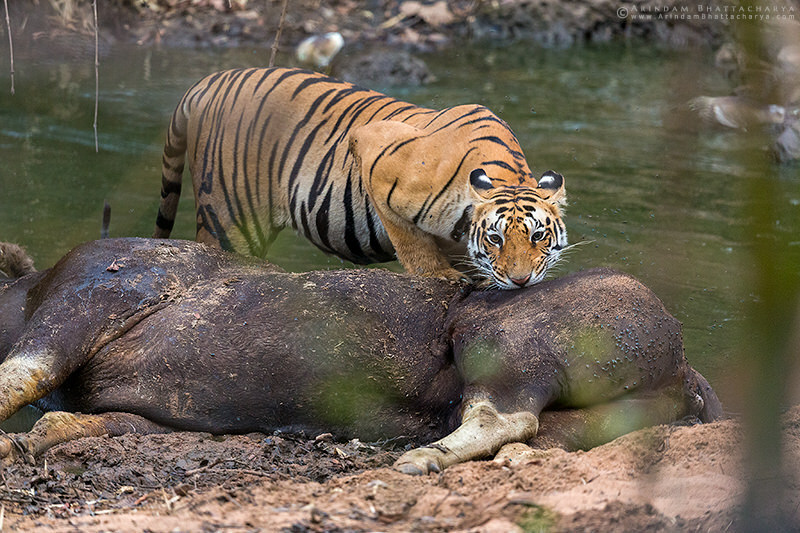 Tiger with Indian Bison kill. The tiger will get some good meals from that Gaur! Very nice considering the vegetation you needed to shoot through. Quite a scene to witness. Amazing how tigers can take down prey this large on their own. Cat 1, Bison 0. I hope the tiger was able to make good use of the kill. Well done. What a sighting this must have been! Well done.